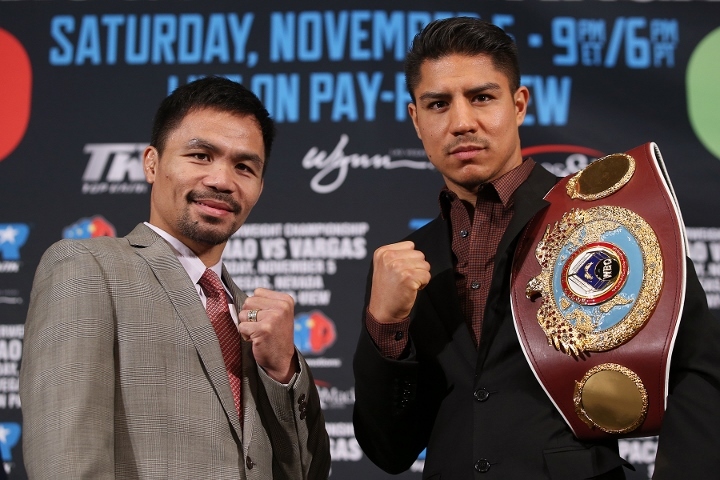 Filipino 8th division world champion Manny Pacquiao met his opponent Jessie Vargas, the two division world champion in their Press Conference yesterday September 8, 2016 in Los Angeles. 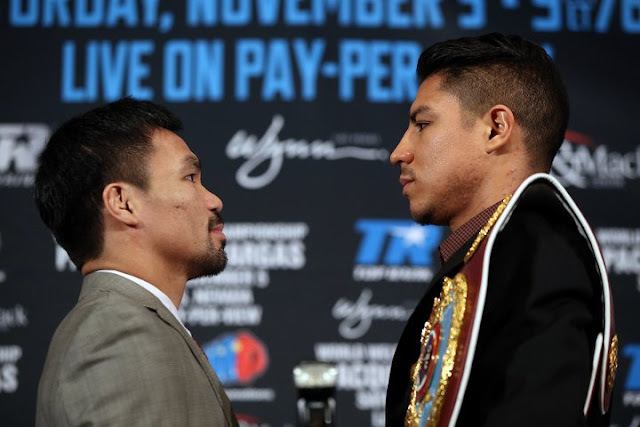 Manny Pacquiao said that he is in the different situation in this bout, he will fight now as a senator of the Philippines, he also said that this is a big challenge to him to win the belt and to become a champion again and now as a Senator. 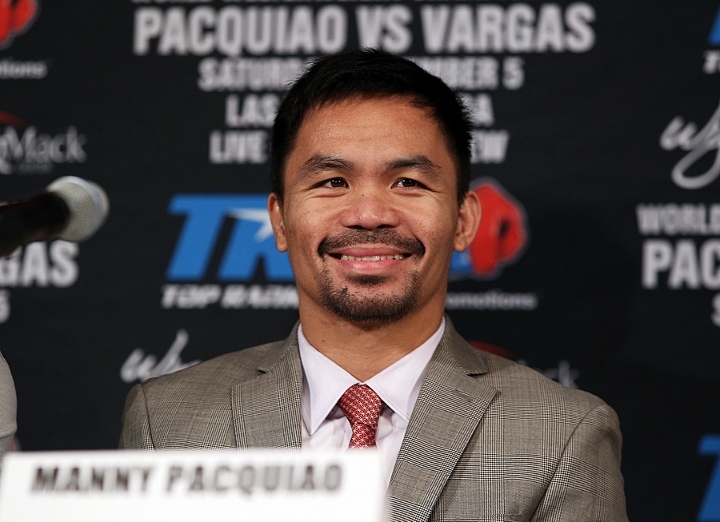 Pacquiao announced that he will retire in boxing after the Mayweather fight, but today he said that he still love boxing, he is satisfied with his achievements but he wants to bring pride for the Philippines again. 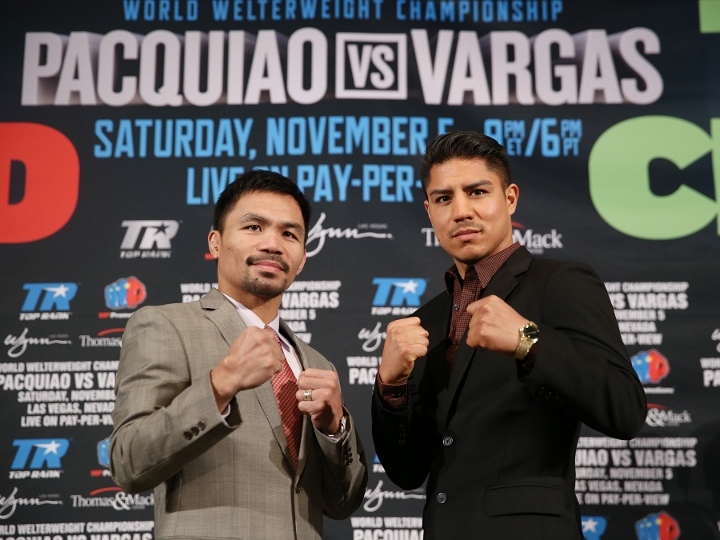 Pacquiao trainer Freddy Roach also believes that Pacquiao still has it, Roach believes that Pacquiao can still win the fight likes what he did in his last fight against Timothy Bradley. 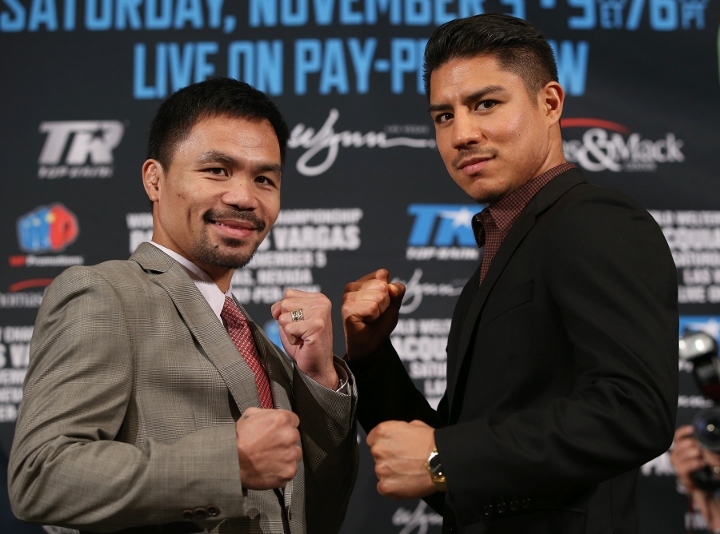 Pacquiao vs Vargas will be played at the Thomas & Mac Center in Las Vegas, Nevada on November 5, 2016. 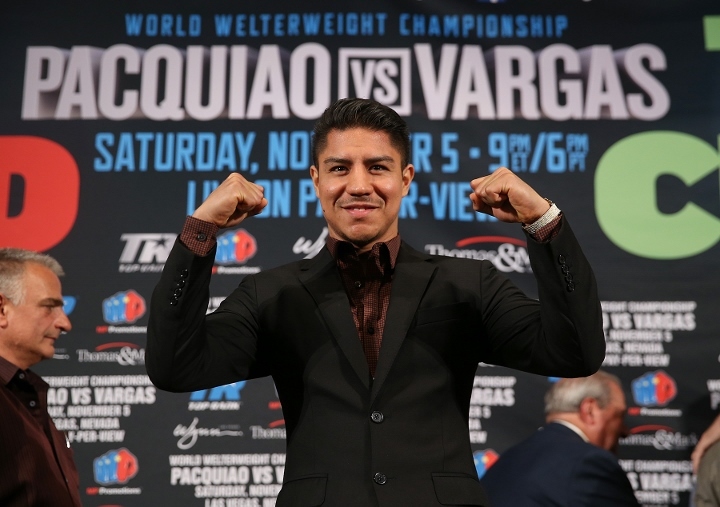 Featuring also the current Filipino WBO super bantamweight champion Nonito Donaire Jr vs Jessie Magdaleno in the Co-Main Event.